1:00 – Is it fair for fans to be sick of the Patriots in the Super Bowl? 3:45 – Is there more pressure on Tom Brady or Jared Goff? 6:15 – Love, like or hate the comments by Nickell Robey-Coleman? 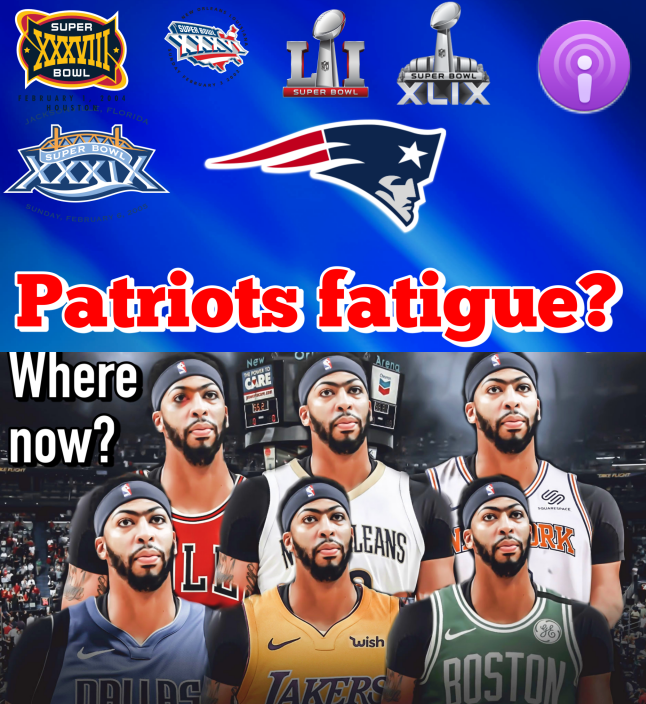 8:30 – Will Anthony Davis be traded before the trade deadline? 11:45 – Are you concerned about the Celtics future?